Battery Sill (1861-1865) - A Union U.S. Civil War Battery established in 1861 in Northwest Washington DC. 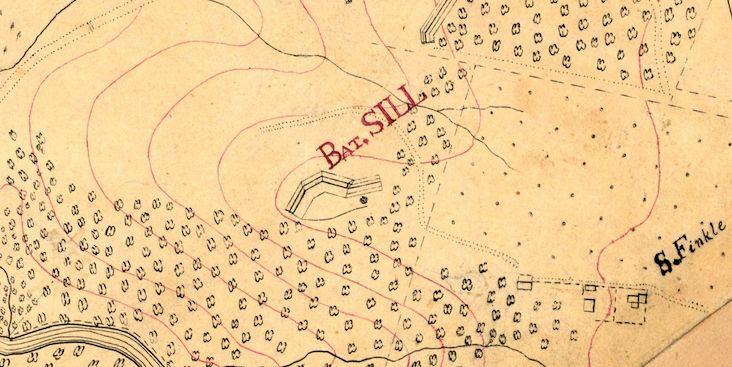 Named Battery Sill after Brigadier General Joshua W. Sill, (Cullum 1581), who was killed 31 Dec 1862 at the battle of Murfreesborough, Tennessee. Battery site abandoned at the end of the war in 1865. Established in 1861 as an earthen field gun battery with emplacements for nine guns. The battery was not normally armed but was a prepared site meant to be armed by a mounted battery in case of attack. The battery was located close to Rock Creek between Fort De Russy and Fort Stevens. The site was abandoned in 1865 at the end of the war. Location: Behind 1615 Manchester Lane, Rock Creek Park, Northwest Washington DC. Map point is not exact.